This is a collection of some of the very best turntables you can find out in the world, period. These record players are made up of the best possible components, highest quality cartridges and needles, best possible vibration and resonance reduction elements, and overall highest quality playback you can get in a turntable. This audiophile turntable is an absolute stunning addition to any stereo. It has everything you want including an 8.6" carbon tonearm with Evo Kardan rings, advanced Ortofon 2M Silver cartridge, heavy aluminum sandwich platter with TPE technology for superior resonance damping, and is a belt-driven system with synchronous motor. This gorgeous white Marantz reference audiophile turntable is an absolutely incredible record player to add to your stereo. It features low-resonance high-density acrylic chassis and platter, floating motor mount construction, asynchronous AC motor, belt drive with endless silicon belt, anodized aluminum tone arm, and magnetic anti-skate mechanism. This one won't leave you wanting. This audiophile turntable features dual-plinth construction, real wood rosenut veneer, sorbothane isolation orbs, carbon resonance-dampening tonearm with Ortofon 2M Bronze Cartridge and it looks better than just about any turntable you will find. 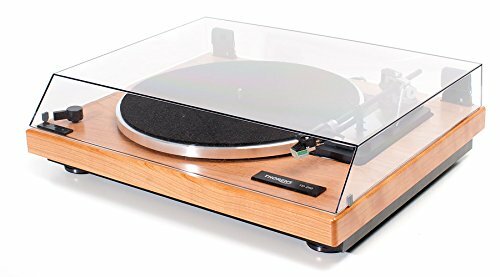 Simple, elegant, audiophile quality turntable. This Thorens audiophile precision belt-drive turntable is fully automatic, with playback speeds of 33-1/3 rpm, 45 rpm, and 78 rpm, non-magnetic aluminum 1.5lb 12" turntable platter, and has the Audio Technica AT95E moving magnet cartridge. This is a great option for any music-lovers stereo. This higher-end audiophile turntable from Music Hall features their unique dual-plinth construction, carbon-fiber tonearm with resonance dampening, completely isolated/decoupled DC motor with 33⅓ and 45 rpm speed controls and comes with the Ortofon 2M Bronze cartridge. This masterpiece is one of the finest audiophile turntables you can buy from Thorens and features everything you'd expect in a top-of-the-line high-end record player. It has innovative Tri-Balance suspended sub chassis, a new suspension system to make setting up easy, low noise/low voltage electronically speed controlled DC motor, adjustable belt tension, aluminum sub platter with single line contact, fused silica platter for consistency and sound quality, a new low resonance TP 92 arm with precision Japanese bearings, and the arm is adjustable for azimuth and overhang. This is arguably the best audiophile turntable in existence. 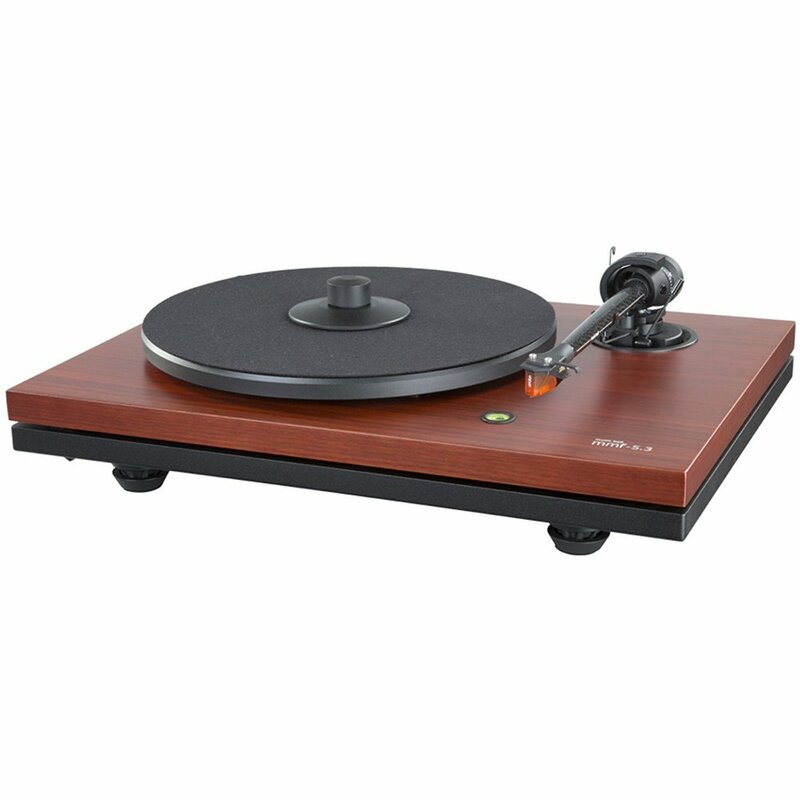 It features a coreless direct-drive motor with high-precision motor control technology, three-layered turntable platter, high-level precision balance adjustment, highly-sensitive tonearm, four-layered cabinet construction, and high quality terminals. Technics is a trusted name in turntables and they continue that legacy with this brand new model. Another vibrant audiophile turntable from Thorens, this gloss red record player features low noise-low voltage speed controlled DC motor, adjustable belt tension, two-part aluminium/acrylic platter, new TP 90 tonearm with precision Japanese bearings, and an adjustable tonearm for height, azimuth, and overhang. This Mark Levinson 515 turntable is like the Rolls Royce of audio equipment. The entry-level model will run you $10,000 and that's without a cartridge, so buckle up if you're on a budget. A simple and elegant audiophile turntable, the Pro-Ject Debut Carbon is one of the most common models you'll find if you reach beyond entry-level record players and it acts as a gateway to the models listed above. For $399 you get the best audiophile turntable under $500 with everything you need in a basic high-quality turntable -- also, it comes with an Ortofon 2M Red cartridge that is sure to leave you and your vinyl collection satisfied.